Because we care, here's EVEN MOAR Cosplay from the first two days of PAX East, with a special appearance by someone combining a lot of Breaking Bad seasons 4 and 5 into a single costume. As it turns out, with so much of The Escapist staff at PAX East, we're overflowing with pics featuring the convention's best cosplay. We know by now you're probably gearing up for tonight's Game of Thrones, but before you have your minds blown (trust me, just trust me), why not spend a few minutes checking out the cosplay goodness? 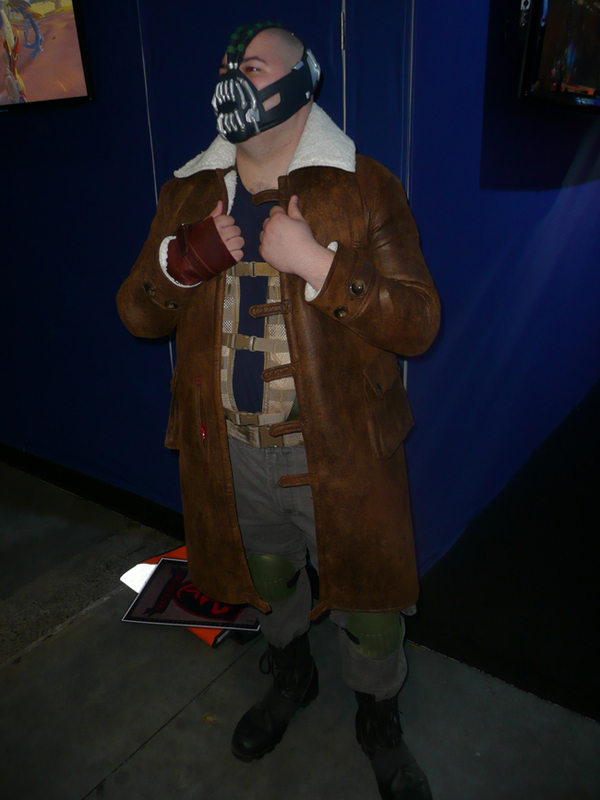 Prepare for everything from Breaking Bad to even more Legend of Zelda, but first, we'll start with cosplayer James Derway dressed as Bane, who wants you all to know that He Is Boston's Rchthoning.